Now, for those of you in North America, the first thing that you need to know for this cartoon is that pepper spray is called 'capsicum spray' in Australia. And there have been instances of policemen misusing it on 13 year olds. Not that this is a rampant problem, mind you. 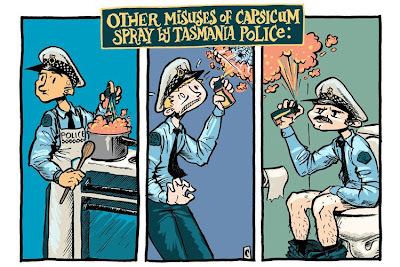 Most of the police force in Hobart are very kind men and women who would never even think of spraying capsicum spray on cartoonists who depict them sitting on a toilet in a nationally distributed newspaper. Last night, we were bypassing regular TV to watch the ABCNEWS coverage of Cyclone Yasi. This storm is so big that it is almost two-thirds of the size of the United States! 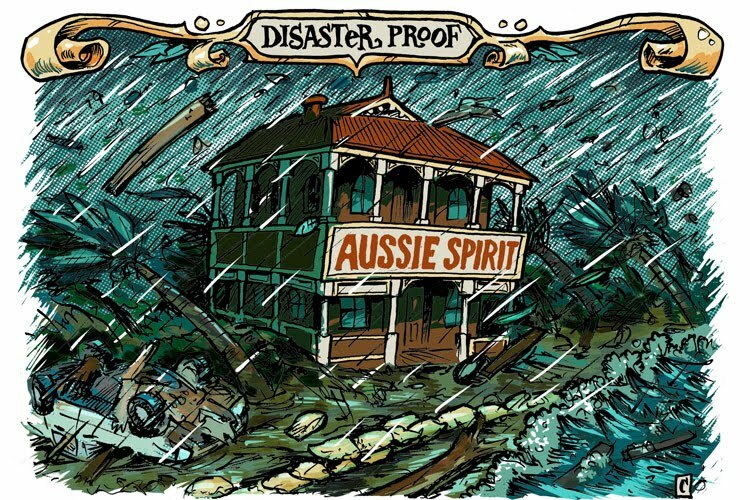 This morning, as I'm typing this, northern Queensland is still suffering the storm. In other news, I did me some hourly comics yesterday, but had to stop to focus on getting this cartoon finished. I'll get them done and scanned soon. I promise! jeez man the coloring on the second one is GORGEOUS! these are awesome! Chris...they just get better and better. We've photoshoping colour here aren't we? oh hey! you're updating again! 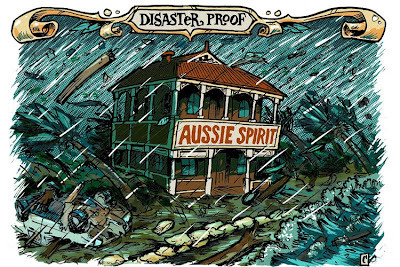 does the focus on newspaper satire mean no more diaryofaworkinprogresses? because i miss those. 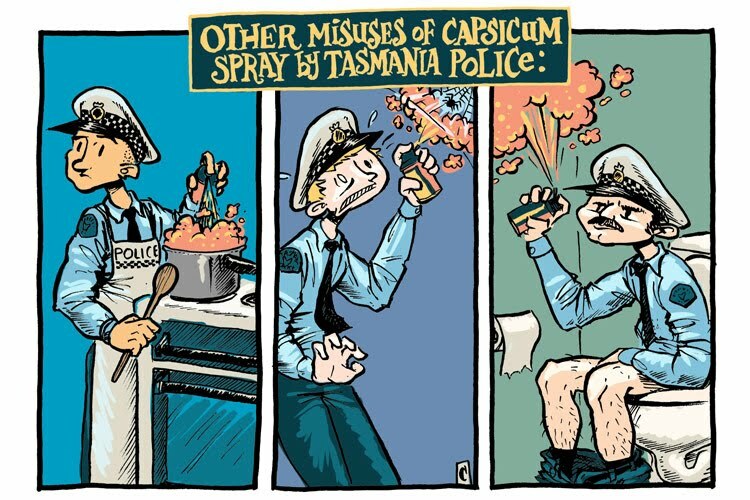 i LOVE the capsicum spray cartoon!